UCA board chooses veteran lawman in wake of $1M theft. 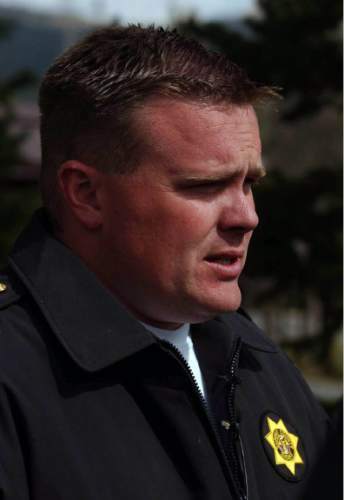 The Utah Communications Authority (UCA) board, rocked by a $1 million embezzlement scandal earlier this year, Tuesday named former Summit County Sheriff David Edmunds as its new executive director. 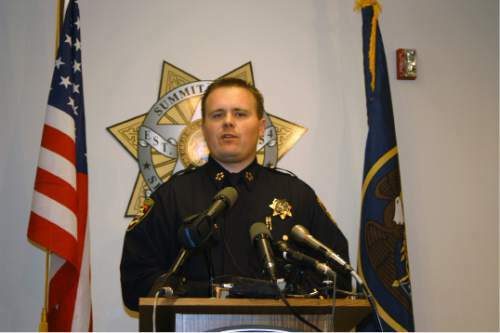 First elected in November 2002, Edmunds served three terms as sheriff in Summit County and also sat as president of the Utah Sheriffs&apos; Association. He later joined Stone Security. Edmunds said Tuesday he was honored by the appointment. "I&apos;m humbled the board would have the confidence in me. That isn&apos;t lost on me," he said. "I&apos;m looking forward to getting back into public service." Edmunds noted that UCA employees do important work every day, ensuring emergency responders have coordinated radio communications. "We aren&apos;t going to let the actions of one former employee besmirch this fine organization," he said. "I will perform my duties with fidelity." The agency has been without a director since early April, when longtime director Steven Proctor resigned in the wake of a $1 million embezzlement scandal that had been going on for a decade. His former administrative assistant, Patricia Nelson, and her daughter, Crystal Evans, admitted in a civil lawsuit to charging $1 million in personal expenses on the agency&apos;s credit cards and covering their tracks by manufacturing phony papers. There were no allegations of wrongdoing against Proctor. In a settlement agreement to a lawsuit brought by UCA, Nelson and Evans agreed to pay $2.3 million, including interest and punitive damages. In May, UCA attorneys said the pair had paid back $70,000. But on Tuesday, the UCA board voted after a closed-door discussion to take the two back to court for "breach of contract." Board Chairwoman Tina Mathieu declined to elaborate. 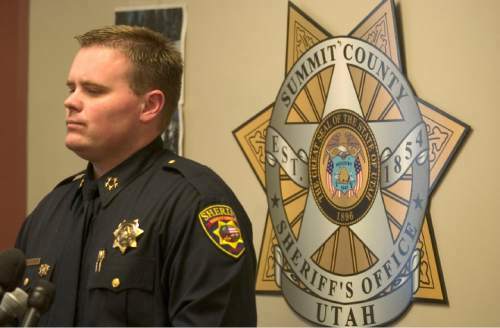 During his years as Summit County sheriff, Edmunds earned the reputation as a strong law enforcement leader. In his term as president of the Utah Sheriffs&apos; Association, the organization published a controversial letter in January 2013, warning President Barack Obama&apos;s administration not to attempt to disarm Utahns in the wake of the Sandy Hook Elementary School massacre. "[M]ake no mistake, as the duly elected sheriffs of our respective counties, we will enforce the rights guaranteed to our citizens by the Constitution. No federal official will be permitted to descend upon our constituents and take from them what the Bill of Rights, in particular Amendment II, has given them," it read in part. "We swore a solemn oath to protect and defend the Constitution of the United States and we are prepared to trade our lives for the preservation of its traditional interpretation." Amid national publicity, Edmunds said the intent of the sheriffs was misunderstood. "The letter has been criticized, it&apos;s been demonized, it&apos;s been held up as a sacred document," when all it was supposed to be was a discussion starter, Edmunds told The Salt Lake Tribune at the time. The former sheriff was not the UCA board&apos;s first choice for executive director. Last month, it selected Daniel Fuhr, newly retired superintendent of the Utah Highway Patrol, to take the helm of the independent agency created by the Legislature and funded with public money. However, Fuhr declined the post because the Utah Retirement Systems would not pay his accrued benefits from his UHP service while he worked for the UCA. Under a recent state law, a retired law-enforcement officer must wait a year before rejoining the public workforce to be eligible for full retirement benefits. The UCA oversees millions of dollars in public funding coming from assessments on local governments and the state, legislative appropriations and a share of the 76-cent monthly 911 surcharge levied on every cellphone and landline in the state. The agency, supervised by a 25-member board, has little direct oversight from the state. It was created in 1997 under a different name and played a major role in coordinating emergency communications and radio communications among northern Utah public safety agencies during the 2002 Winter Olympics. It has expanded to include 25 counties and 147 public safety agencies in recent years and now owns 20,000 radios.